Alex Morgan, the daughter of black ops specialist Dan Morgan, has just come off a sniper hit that took out a North Korean officer in Russia. Now the problem is to rendezvous with her extil site safely through the Trans-Siberian Railway. Leo J Maloney has given the protagonist reins to Morgan's daughter for this short interlude between the Morgan series full-length novels. She is a good student and remembers the lessons her father taught her. Shortly after boarding she notices a striking older gentleman and his companions and sends the picture of the old man to headquarters prior to entering "dark territory," that vast distance on the world's longest railway system where there is absolutely NO cell towers or communication coverage. She also extracts further information from Maxim Kreesat's private conversation. She knows she cannot wait for more seasoned agents to take control. This is not the first time the "cobra" (Dan Morgan) has confronted Maxim Kreesat, a.k.a., the Ghost. 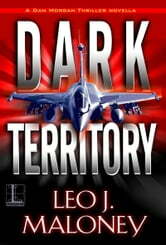 He is a Serbian mercenary gone rogue who has abducted Russian aerospace scientist Dmitry Kozlov. Kreesat's aim is to extort money from both the capitals of the U.S. and Russia before he obliterates them. Additionally, Kreesat holds Kozlov's daughter Svetlana, to ensure his success. Dan has not yet tested his daughter's abilities to this extent and, nervous, immediately makes plans to intersect the train and neutralize Kreesat and his crew. I love that Maloney shows a young woman as a chip off the old block and seemingly as capable. She is smart, intuitive, and engaging. The character of the train conductor is immediately sympathetic, as is Svetlana, who appears to hold her own once she has the opportunity to rise to the occasion. The train provides an interesting and unique backdrop and provides for a tight but powerful conflict. The tension telegraphs through the story-telling, keeping you glued to the well-crafted plot. Are we seeing the handing over of the Dan Morgan reins? I can see this as a thoroughly entertaining segue to the next full-length installment of the series. 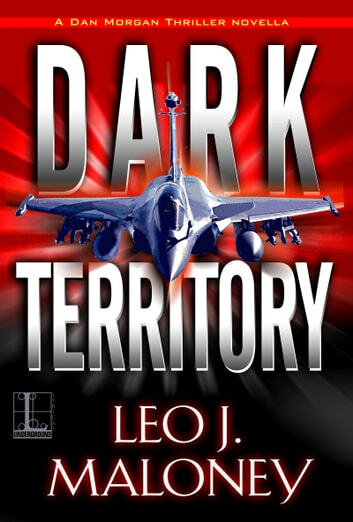 This fast pseudo-military thriller is short and sweet. I was allowed the download from the publisher and NetGalley and greatly appreciated the opportunity to read and review. Recommended for any who enjoy a fast-moving suspense thriller.